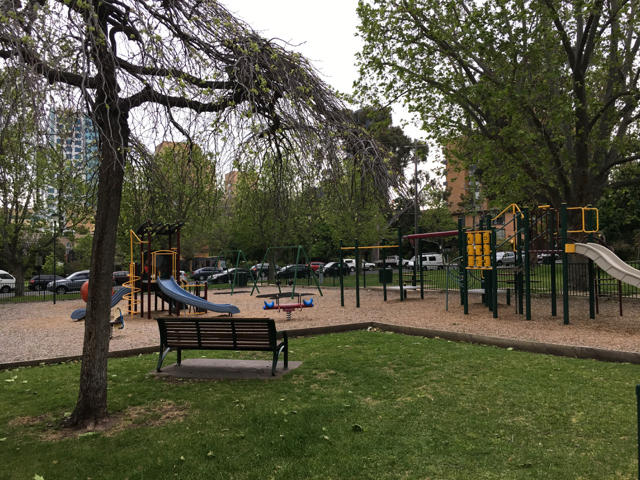 The Rockley Gardens Playground is a small yet practical playground located on the corner of Toorak Road and Rockley Road in South Yarra and not far from one of our favourite bakeries in Melbourne - Tivoli Road Bakery! Grab a coffee and a pastry or a picnic and head to the Rockley Gardens where little ones can enjoy a play on the swing, monkey bars, slide structure, seesaw and more! It is fully fenced which is perfect being so close to busy Took Road. It is well maintained and has limited shade from nearby trees. The favourite thing about this playground is its proximity to Melbourne icon bakery Tivoli Road Bakery which has delicious pâtisserie and coffee. It is literally one street down from this playground and yes on Tivoli Road. I recommend their plain croissant, pain au chocolat (aka chocolate croissant), palmier, Kouign-amann, salted caramel donuts, baguettes and sourdough - so delicious!